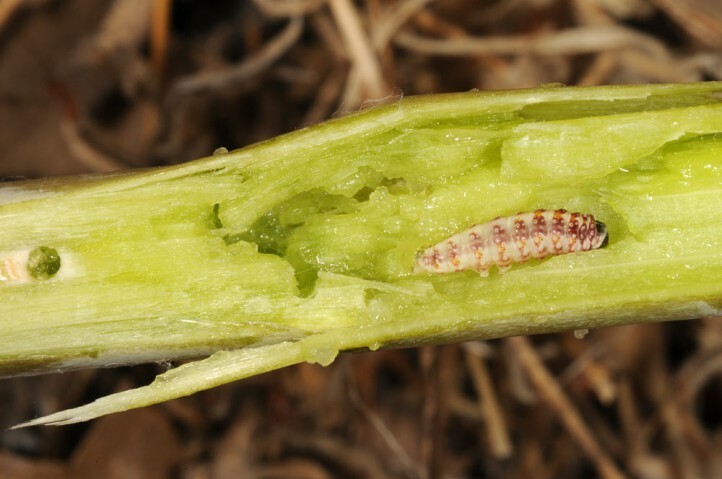 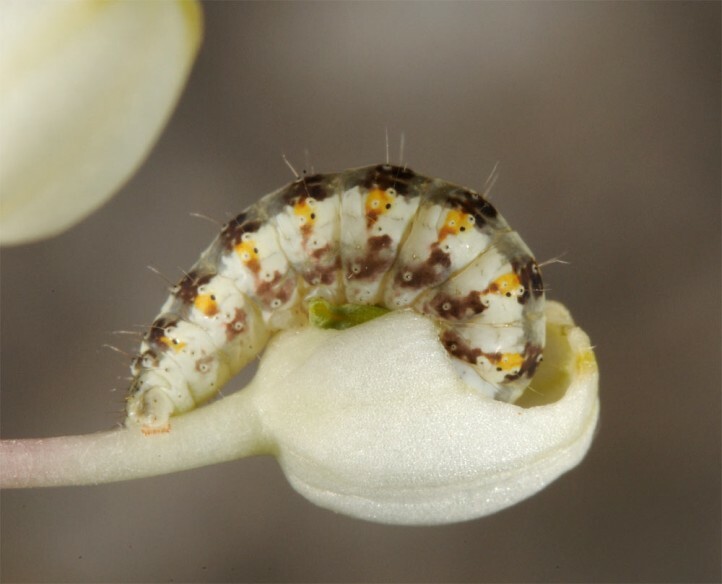 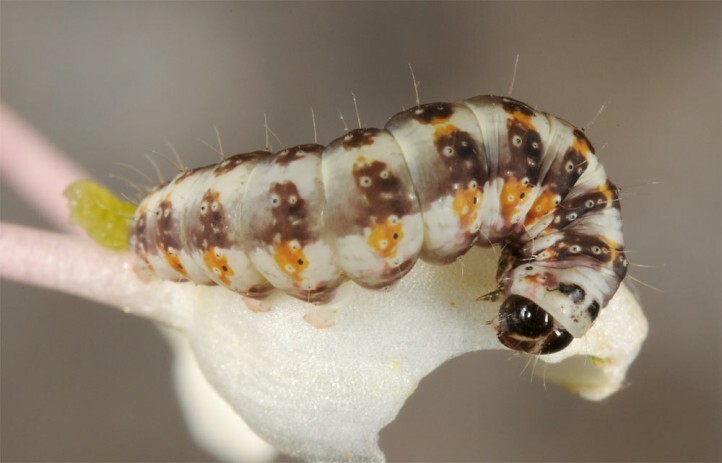 The larvae live according to literature within the fruits of Ornithogalum and related plants. 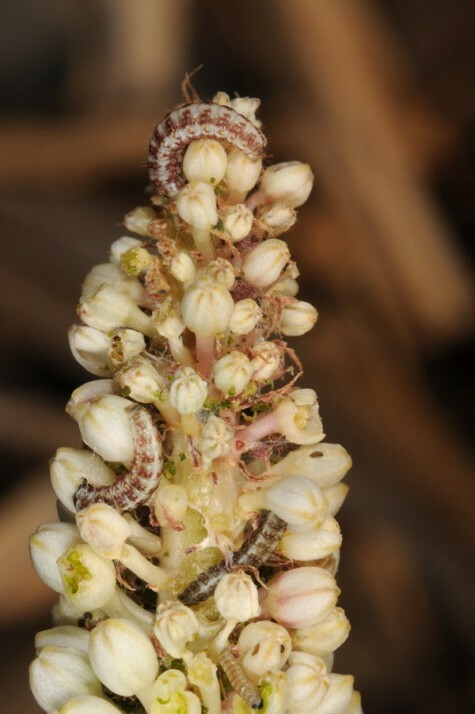 I observed larvae in and on Drimia maritima (Hyacinthaceae) in Rhodes. 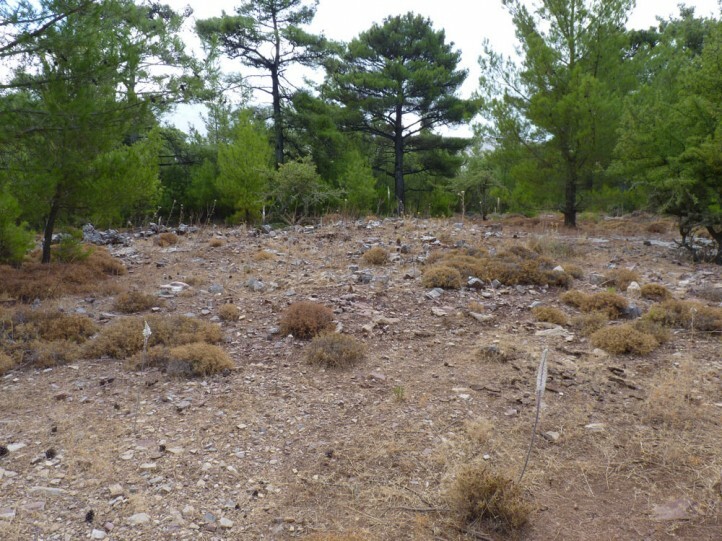 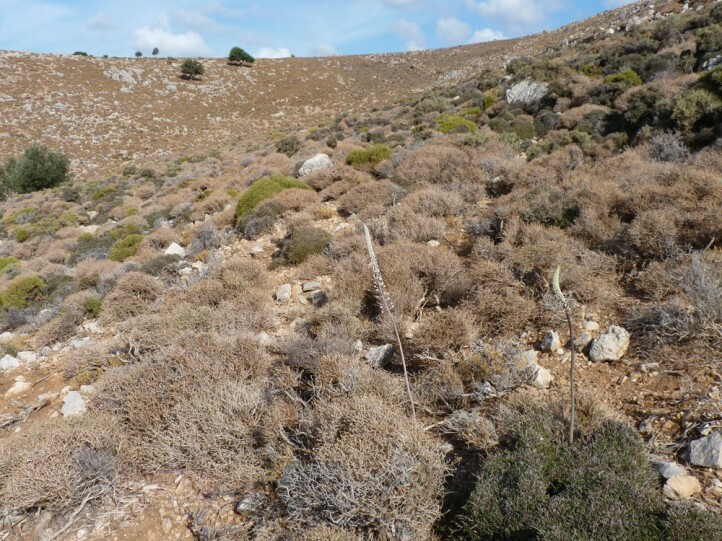 Metachrostis velox inhabits most often dry and warm sites like garrigues, nutrient-poor grassland slopes, steppes, but also open woodlands. 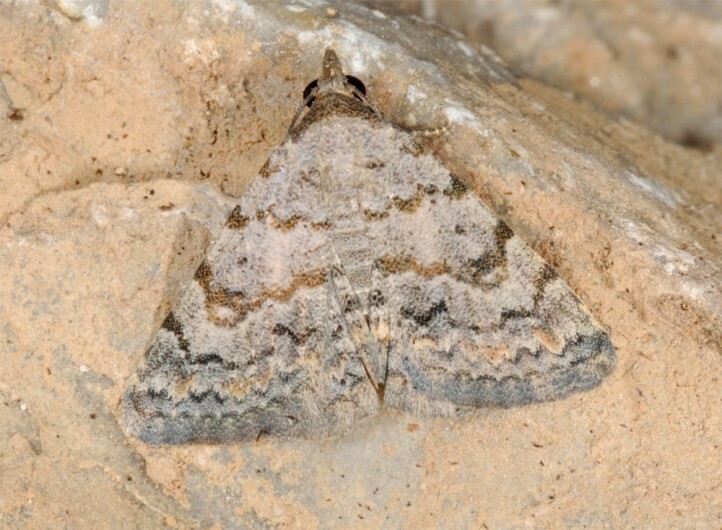 Metachrostis velox occurs according to the site in one or more generationes per year. 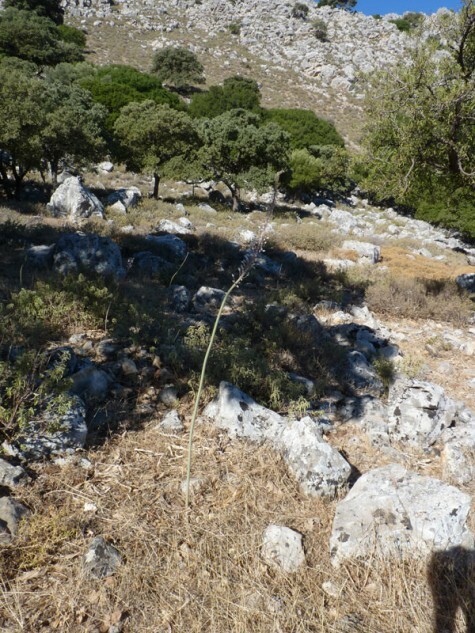 There is an adoption to the different host plants and their phenology. 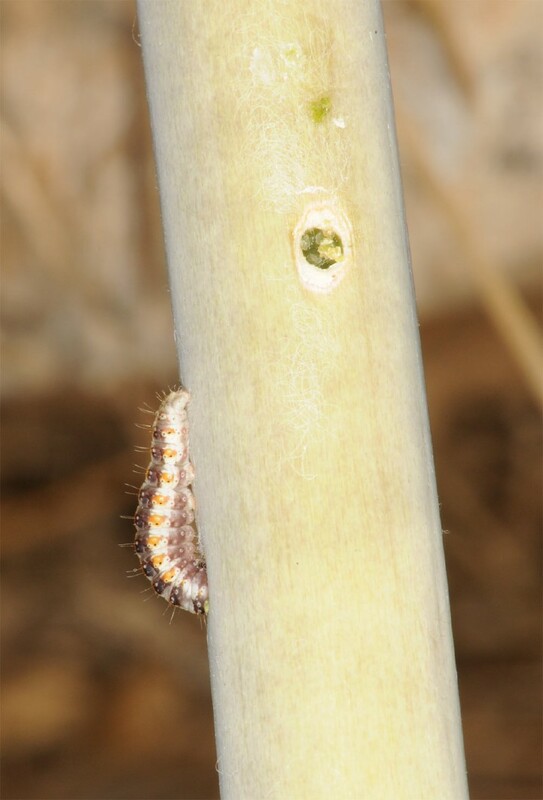 I observed the larvae in Rhodes in September. 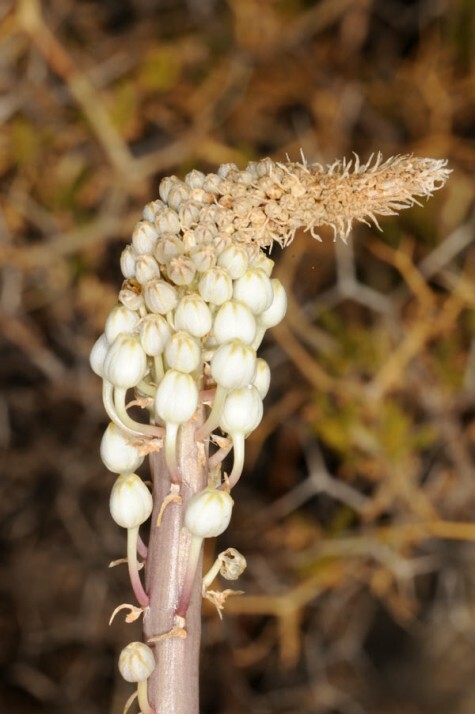 At this time Drimia maritima started to flower. 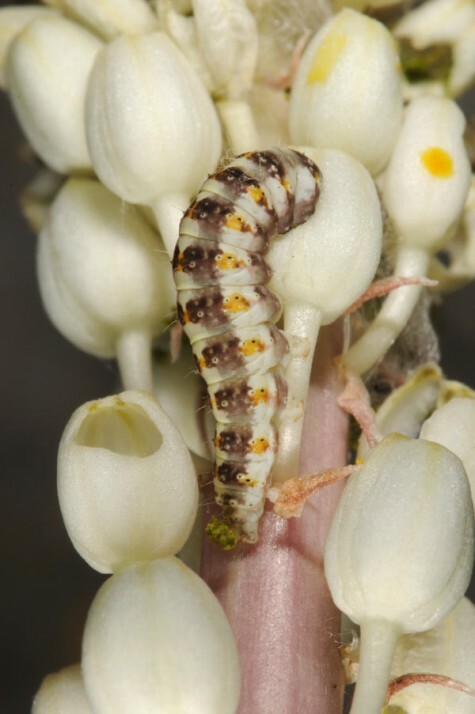 The young larvae live between the flower buds which are partly loosely overspun. 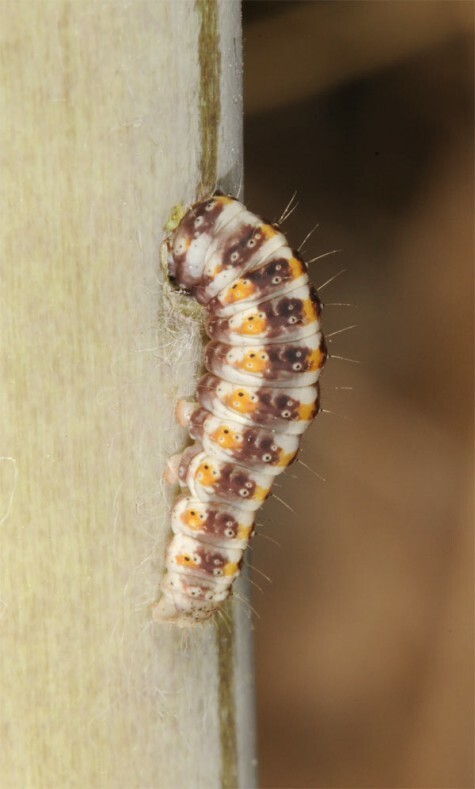 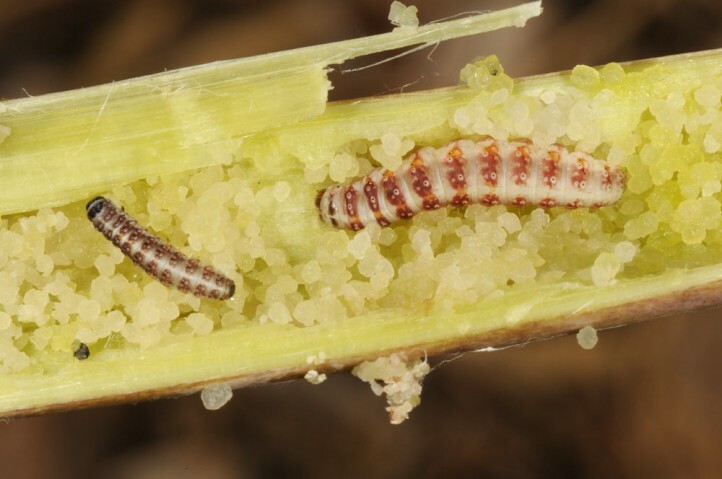 Most older larvae change then into the stem. 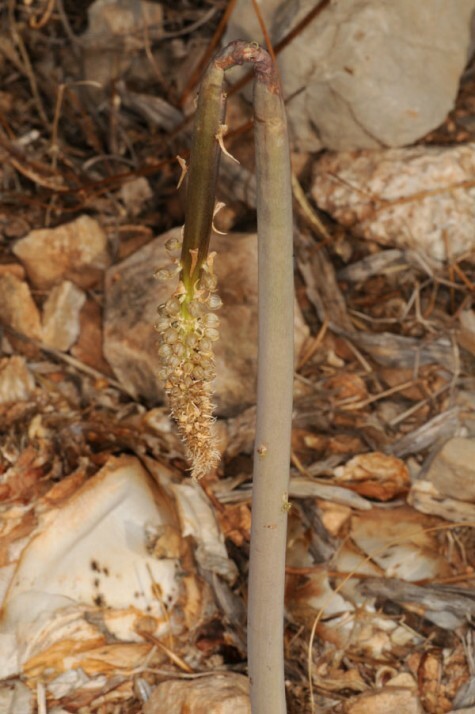 The infested plants most often show a wilting tip of the inflorescence, drilling holes on the stem and droppings. 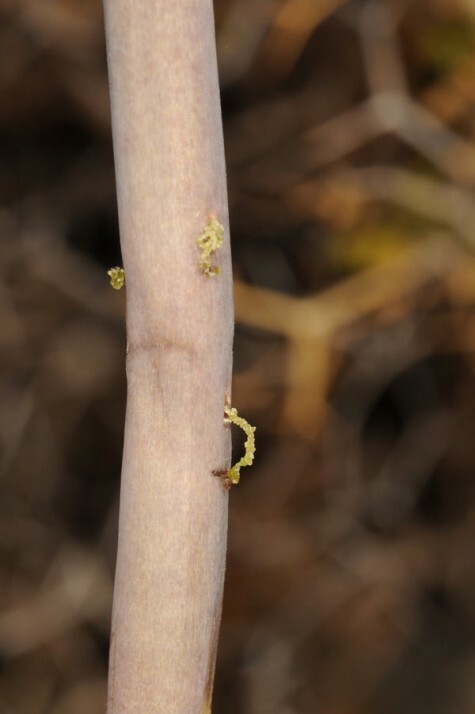 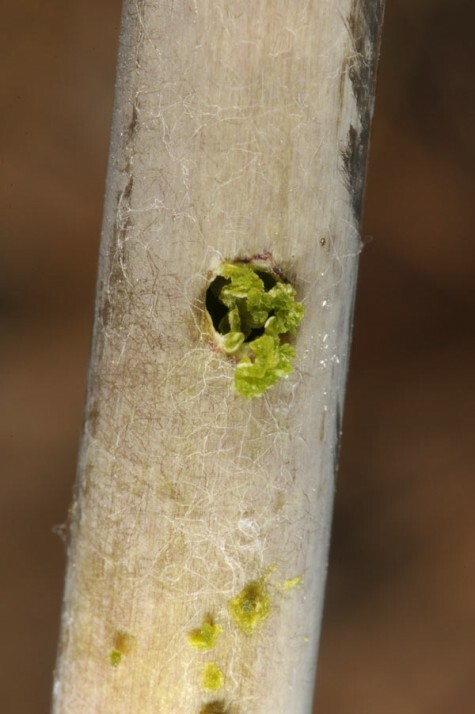 The stems usually host several larvae, sometimes up to 15, and are filled with light droppings. 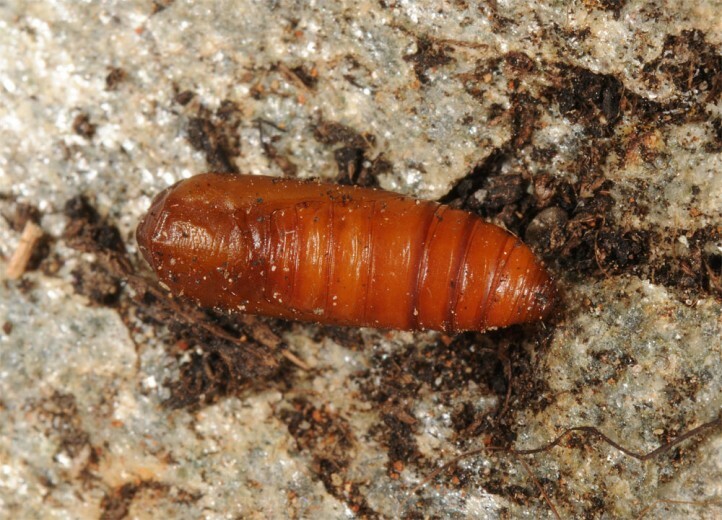 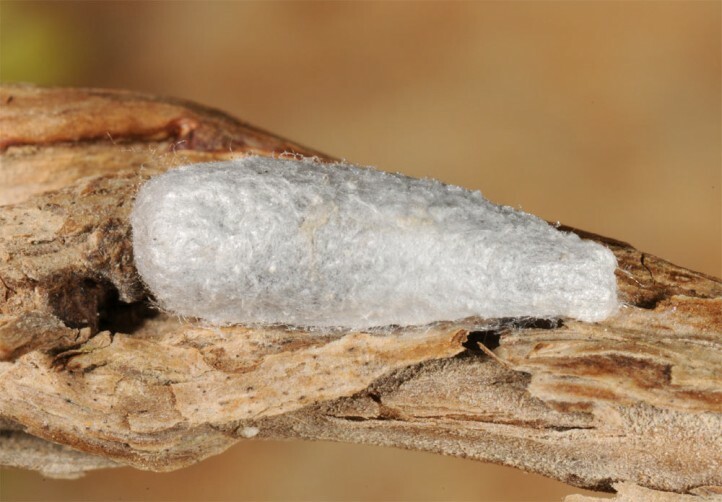 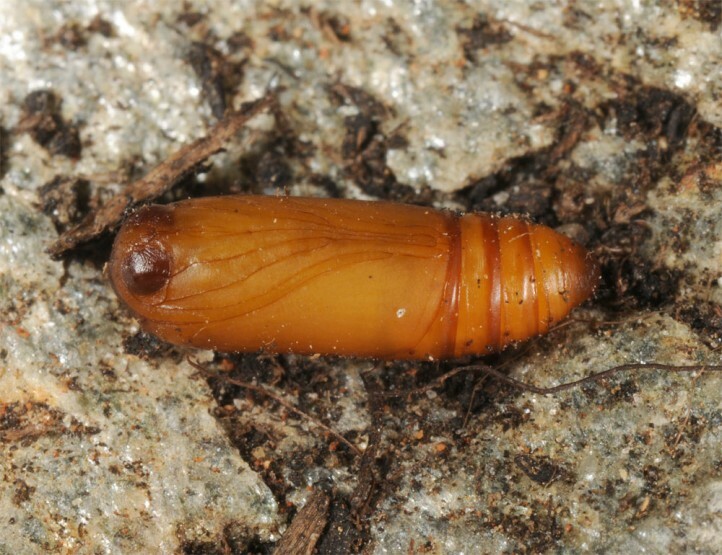 Pupation occurs in a white cocoon which resembles that of the Nolidae. 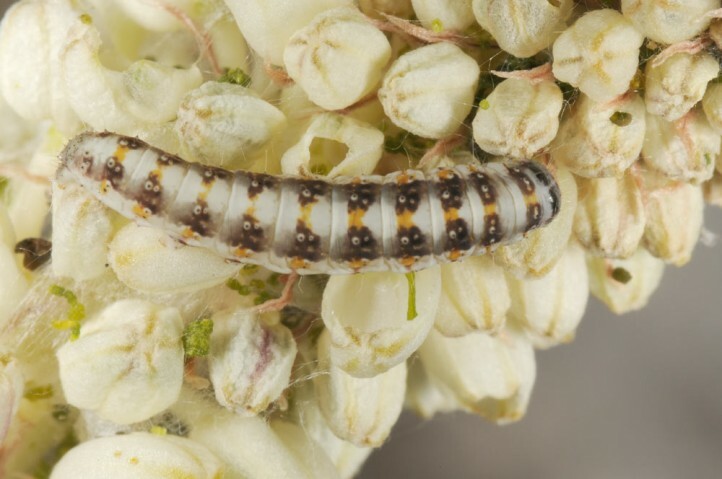 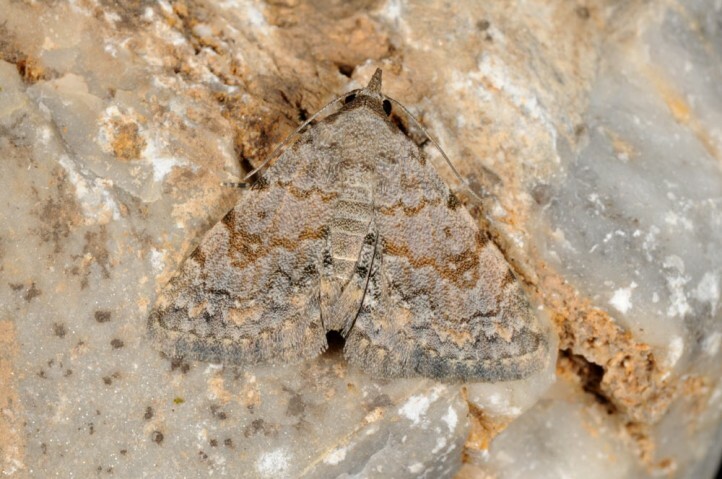 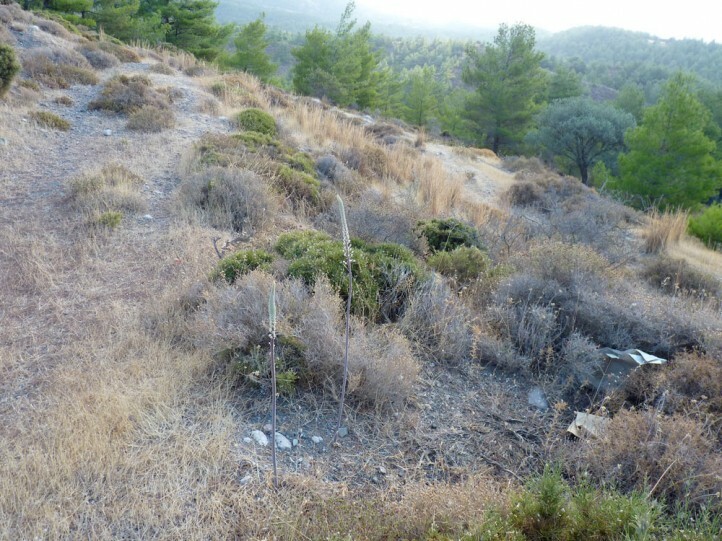 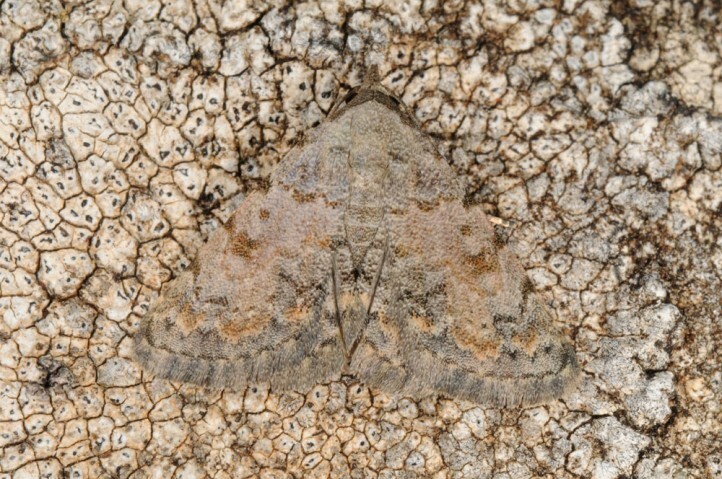 The moths appeared in the case of my larvae from Rhodes in the larger part after a few weeks so that there are probably two overlapping generations on Drimia in the autumn. 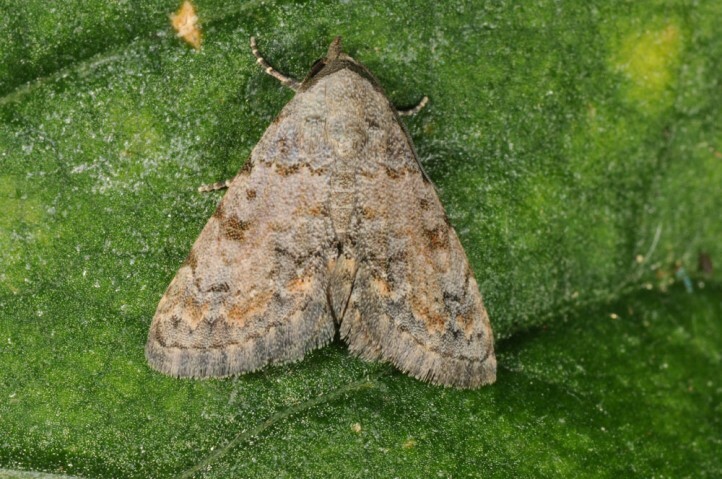 But there are also adult records in spring/early summer. 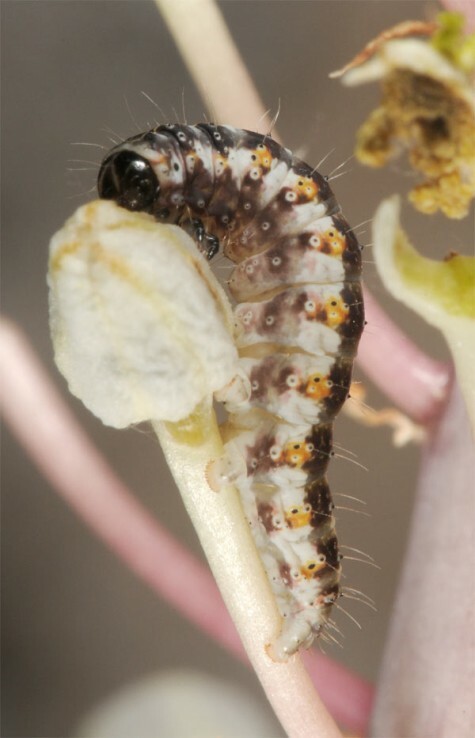 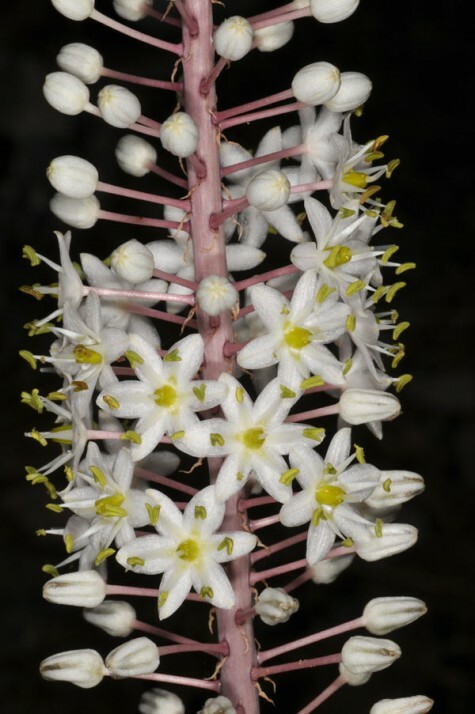 At this time the larvae may live in related plants, mainly Ornithogalum, which are flowering then and provide food for supposedly also two generations. 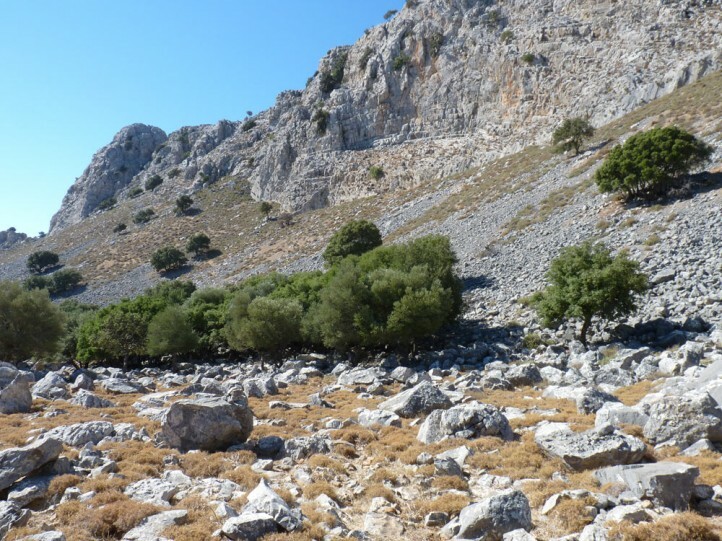 But in the following summer drought development is surely impossible. 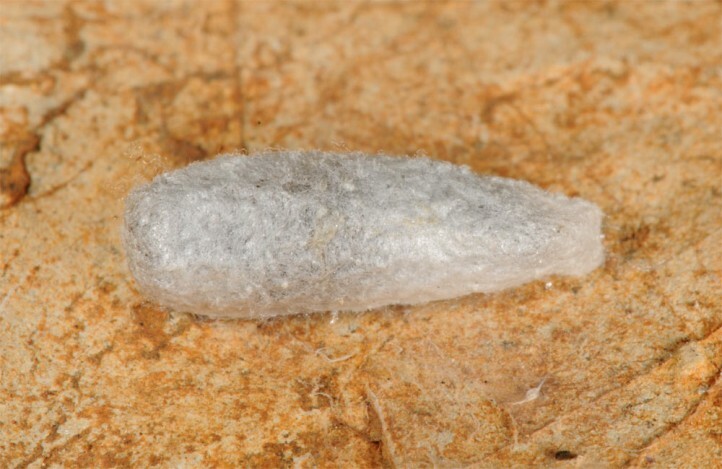 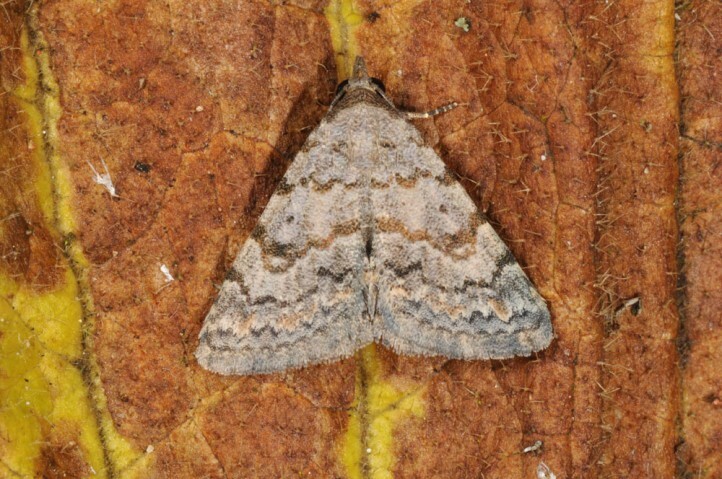 It is still unknown in which stage (surely ovum or pupa) this species aestivates. 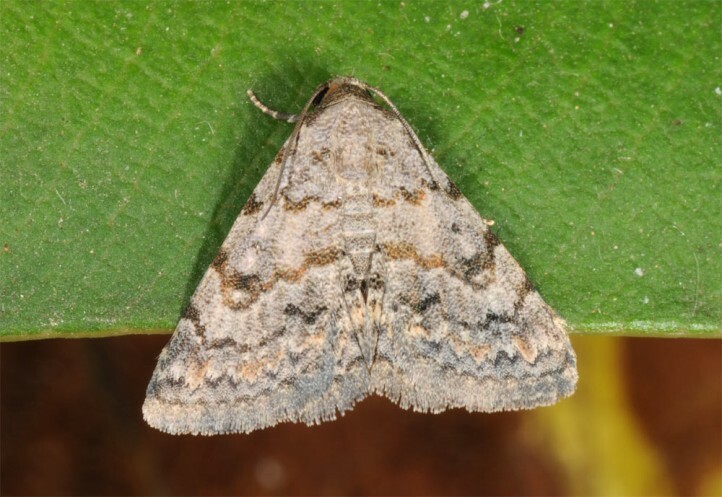 Metachrostis velox occurs in N-Africa, S-Europa and W-Asia.